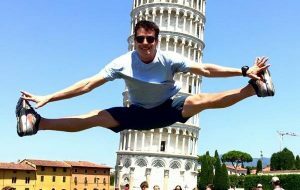 News & Events – Bietak Productions, Inc.
After medaling nationally at the novice, junior and senior levels, assembling an impressive international resume, competing at the world championships and being an Olympic alternate, Brandon Mroz decided to step away from competitive skating. He soon found his niche aboard Royal Caribbean cruise ships, skating in the ice shows produced by Willy Bietak Productions. He’s just started his fourth contract, a six-month gig on the newest ship, Harmony of the Seas. Icenetwork caught up with Mroz and asked him how show skating agrees with him. New Production scheduled to debut 4th quarter 2017 is planning to feature music from such Broadway hits as, American in Paris, The Color Purple, Hamilton, Jersey Boys and Classic musicals including Phantom of The Opera, West Side Story, Chicago and A Chorus Line. Santa Monica, CA ##/##/#### – Willy Bietak Productions announced today its world famous long running Broadway on Ice Musical spectacle will celebrate its 30th Anniversary year in 2017. Check out one of our Holiday Ice Rinks! 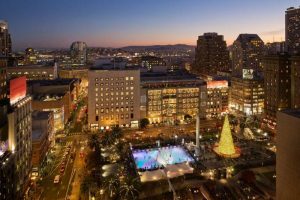 A San Francisco holiday tradition in the heart of Union Square, the Safeway Holiday Ice Rink in Union Square presented by Alaska Airlines offers fun-seekers of all ages a magical adventure beginning on November 2, 2016. From families to friends, and couples to colleagues, everyone can enjoy ice skating in San Francisco’s iconic plaza surrounded by festive lights and the sights and sounds of the season. Novices and naturals, alike, will love the outdoor ice skating experience in the middle of beautiful San Francisco. 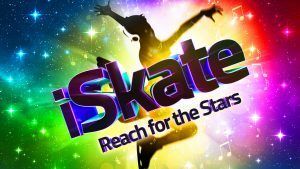 IAAPA Brass Ring Award – Willy Bietak Productions was recognized for another prestigious worldwide award for one of our ice shows. 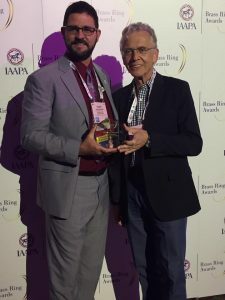 Hong Kong Ocean Park was awarded the IAAPA BRASS RING AWARD for the MOST CREATIVE SPORTS SHOW for our co- production – KALEIDOSCOPE Ice Spectacular!! 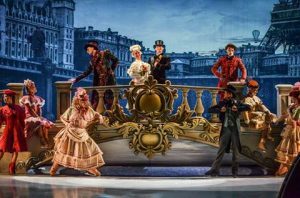 GOLD Medal Magellan Award – Royal Caribbean Productions in collaboration with Willy Bietak Productions has been awarded the GOLD Medal Magellan Award for our newest Show: “1887 A Journey in Time” currently running on the Harmony of the Seas.